February 8 – With just over a month to go until the issue is due to come to a head, Aleksander Ceferin has re-iterated his call to FIFA to provide more information about Gianni Infantino’s plans to change the landscape of world football competitions. Ceferin, re-elected unopposed for a new four-year term on Thursday, told a news conference following the UEFA Congress that his organisation was still waiting to be given details of the secret investment fund that is apparently behind plans to create a 24-team Club World Cup and expand the Nations League into a global tournament. “From the last (FIFA Council) meeting in Bogota in March until today I have not had a single concrete conversation about any information regarding those two competitions,” he said. A decision on the controversial $25 billion project is due in mid-March when the FIFA Council meets in Miami. “If there is to be something to what we have now, we expect a proper consultation process,” said Ceferin who suggested FIFA was beginning to understand that. Having raised no objection during the UEFA Congress to the election of Paris Saint Germain supremo Nasser Al Khelaifi to his executive committee despite the fact that both he and his club are both being investigated for unrelated alleged misdemeanours, Ceferin defended his stance. PSG are still not out of the woods with regard to possible financial fair play violations but Ceferin argued: “As regards financial fair play, the executive committee including the president doesn’t have a clue what the independent bodies are doing. I am informed after they finish …before it goes public. 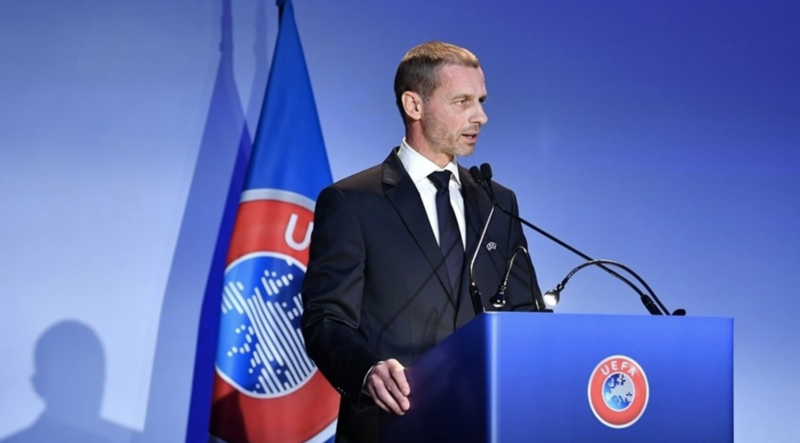 Ceferin also revealed that UEFA had organised a special session for Champions League last-16 teams last Monday to show them how VAR will work when it is introduced in the competition next week – but less than half turned up. “For me it’s not only a lack of respect for [UEFA’s chief refereeing officer] Roberto Rosetti’s team and the UEFA organisation, but the influence of coaches is huge and if they complain about being refereed they should at least come and see what the experts say about the use of VAR,” said Ceferin.